Overall Size: 20.09" x 24.09"
Packing Size: 22.05" x 27.95" x 1.22"
Here you are! This is the white dry erase board that you have been looking for so far! Light, durable, stylish yet affordable! 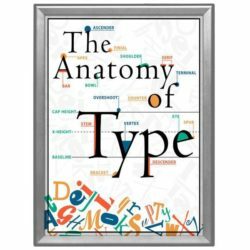 You can be rest assured that it is a great way to display your messages and attention grabbing advertisements. 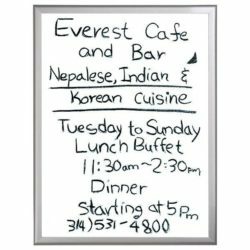 This 18″ x 24″ glossy white markerboard allows users draw or write their advertisements, notices and any information. 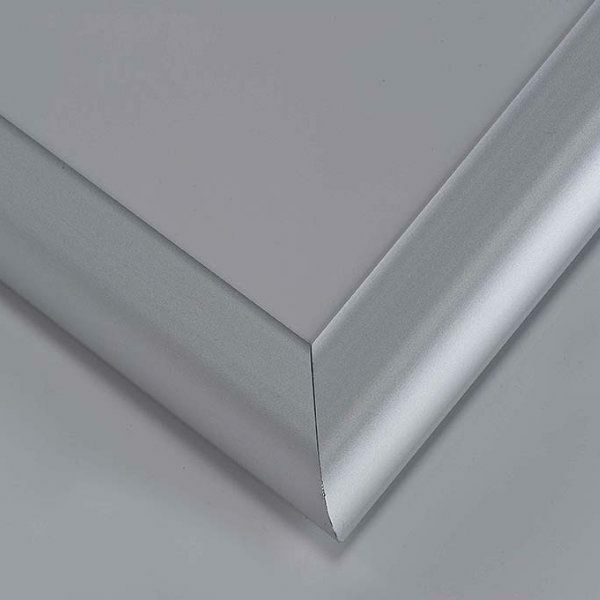 Matte silver finished aluminum framed white board can be used in so many different areas and environments. 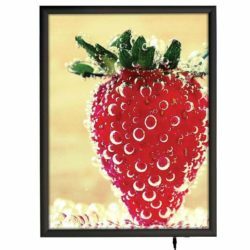 Hang it on the wall for daily declarations, briefings, notices, messages and announcements or simply place on an easel to display forthcoming events. 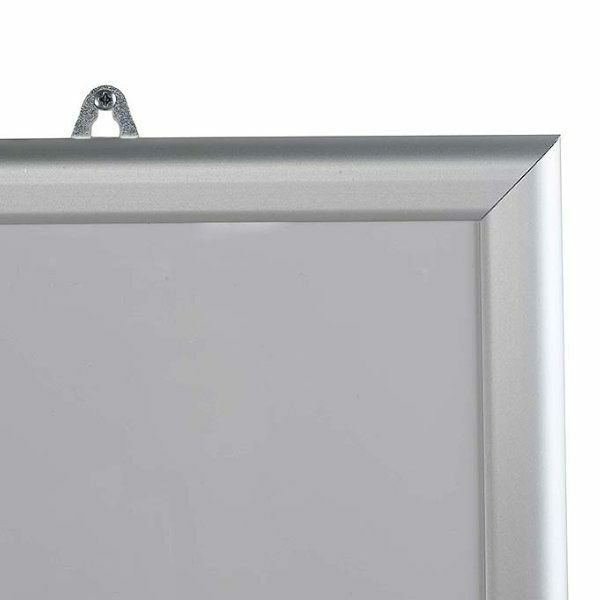 This large write-on whiteboard that has a 18″ x 24″ writable glossy surface provides users with plenty of space to create their custom advertisements. Broad markers and water base chalk pens that are sold seperately can be used to write on. One of our most vital missions is to please you by presenting the most suitable products that meet your needs as well as make you gain time by being practical. After writing messages by using waterbase chalk pens or wet-erase broadmarkers you can easily clean the area in seconds by the help of a damp cloth. It will suprise you how easy and quick to update your messages, declarations, briefings etc. 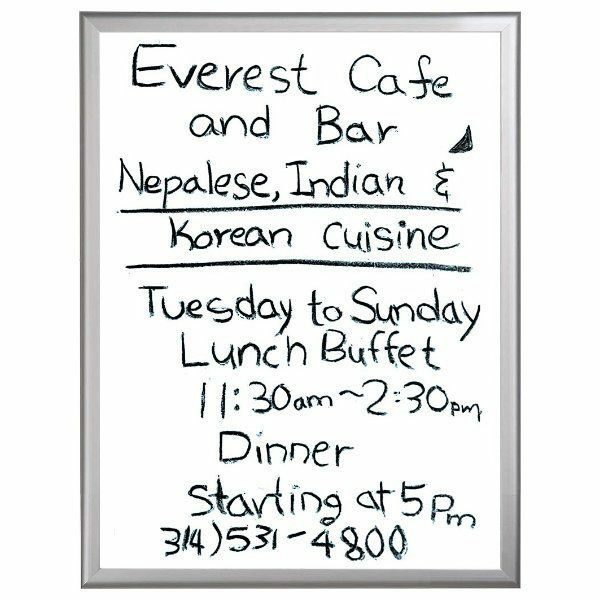 It is also an excellent restaurant markerboard to display the daily menu or specials. 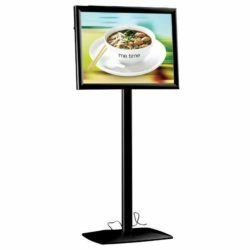 Perfect choice to use in places where updating the messages is so often such as schools, presentation&meeting rooms, commercial environments, shops even home. For easy installation of this white marker board, 2 pieces of hangers come in its box. We also place double sided adhesive tapes at the back of the markerboard for much easier mounting. Depending on your preference, you can mount it vertically or horizontally on the wall as the structure of the entire unit has been designed according to this. 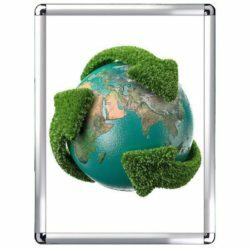 We have lots of different sizes of this product which means that you do not have to be tired of searching the one that you have on mind. 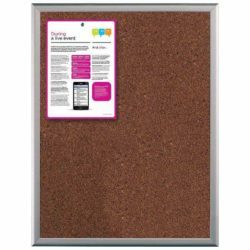 The white marker board is not the only choice available as there are lots of different display boards on our website.